Fix Auto Australia recently announced the launch of the Fix Auto Mobile Estimate App, connecting mobile users to Fix Auto’s network of collision repair facilities. Following a successful rollout of the Mobile Estimate App in Canada in mid-2016, Fix Auto offers the same accessibility to Australian consumers. “This service puts Fix Auto’s national network of collision repair locations right in the hands of our customers, offering them an easy way to start the process of having their vehicle restored to its pre-accident condition,” said Carl Brabander, Vice-President Marketing, Fix Auto World. The Fix Auto Mobile Estimate App is a web-based mobile tool integrated within Fix Auto’s website and individual shop pages. It allows customers to submit photos of vehicle damage, find the closest Fix Auto location and request professional feedback on the required repairs within one business day. 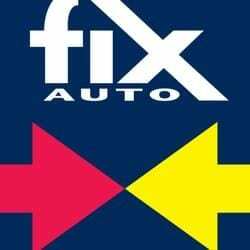 All Fix Auto Australia locations are fully set-up to offer this service. “In every facet of the automotive aftermarket space, change and innovation are being driven by technology. This applies just as much to our shops as it does to our consumer-facing marketing strategy,” added Brabander. The Fix Auto Mobile Estimate App is available on www.fixauto.com and through participating shops’ web pages.